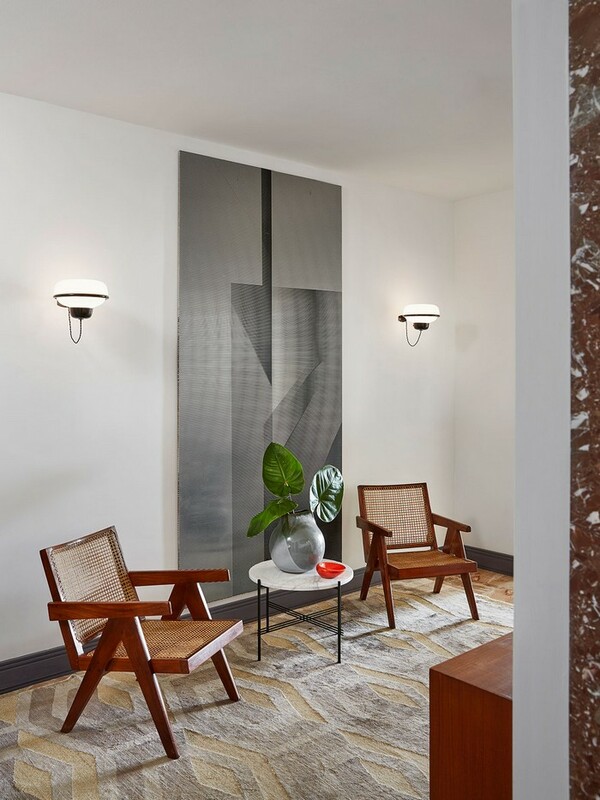 Designing contemporary hallway requires, even more, effort than you thought about it. 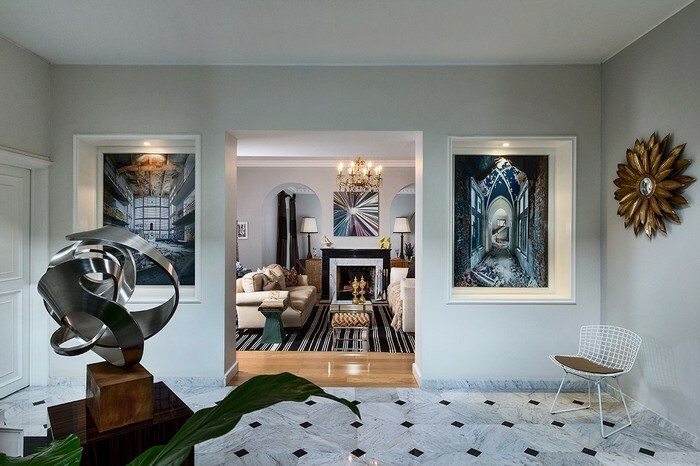 The decor of these welcoming space s the first part of your home that you see when you get home. 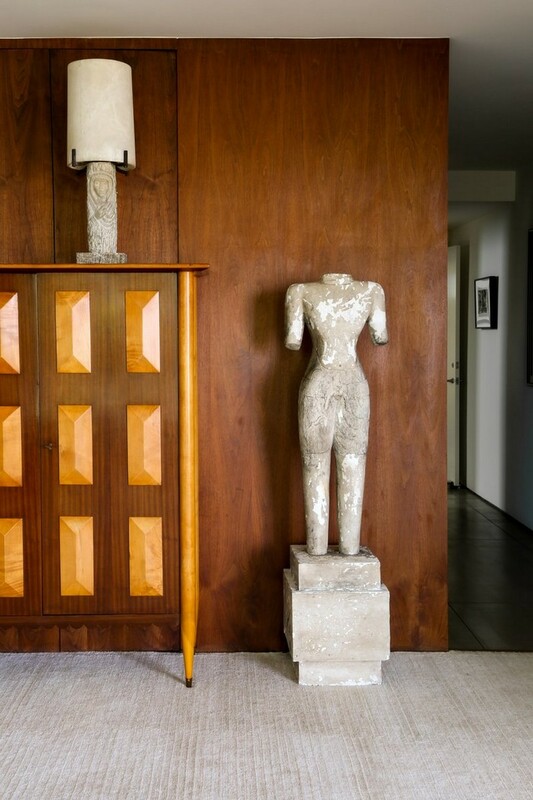 Your modern hallway should be an extension of the overall style of the home. 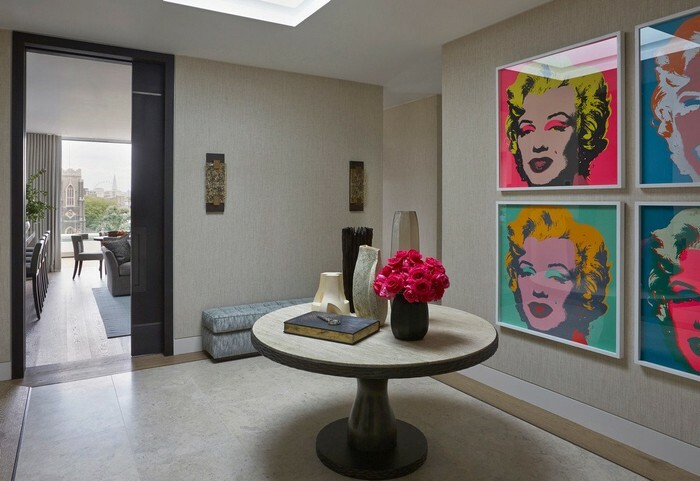 It’s much more than just a plan corridor that leads to other places, your contemporary hall is an important part of your home, you can brighten and lift up this space for a modern decor, with a unique selection of luxury furniture or the perfect spot to display your treasured art collection. 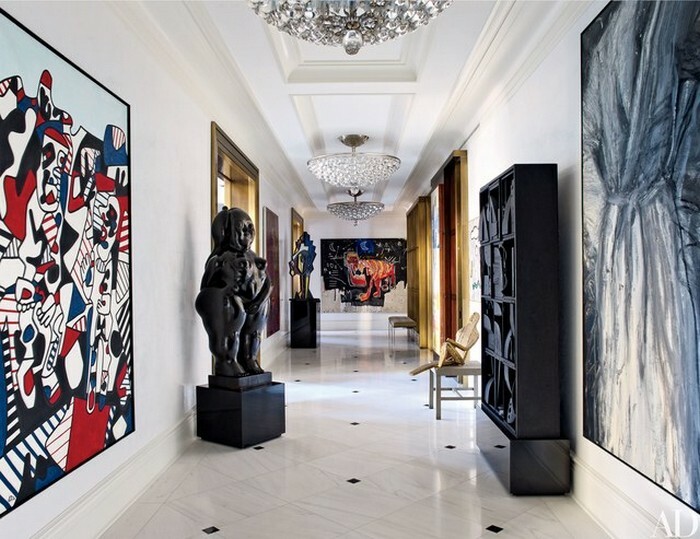 We selected the best contemporary hallway design ideas to inspire you. 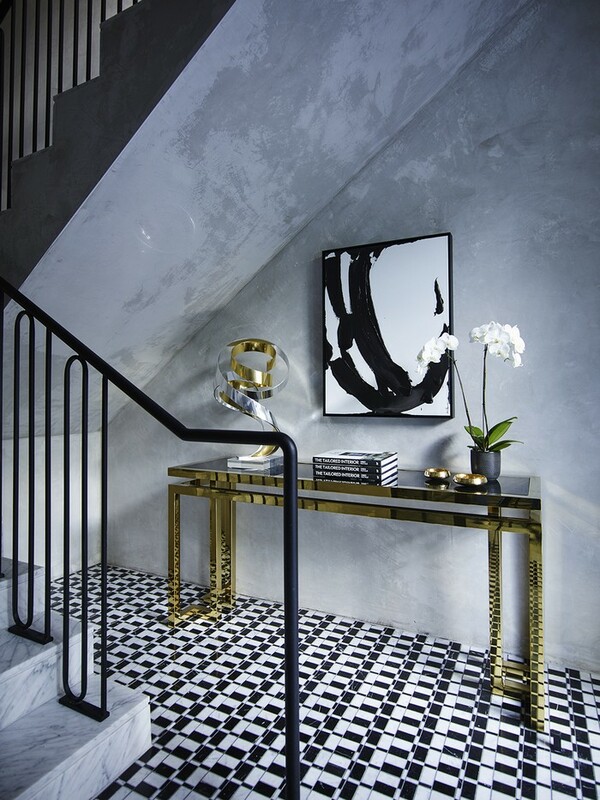 The American top interior designers Drake/Anderson create this dark mood entryway for a New York apartment where the modern console is definitely the star. 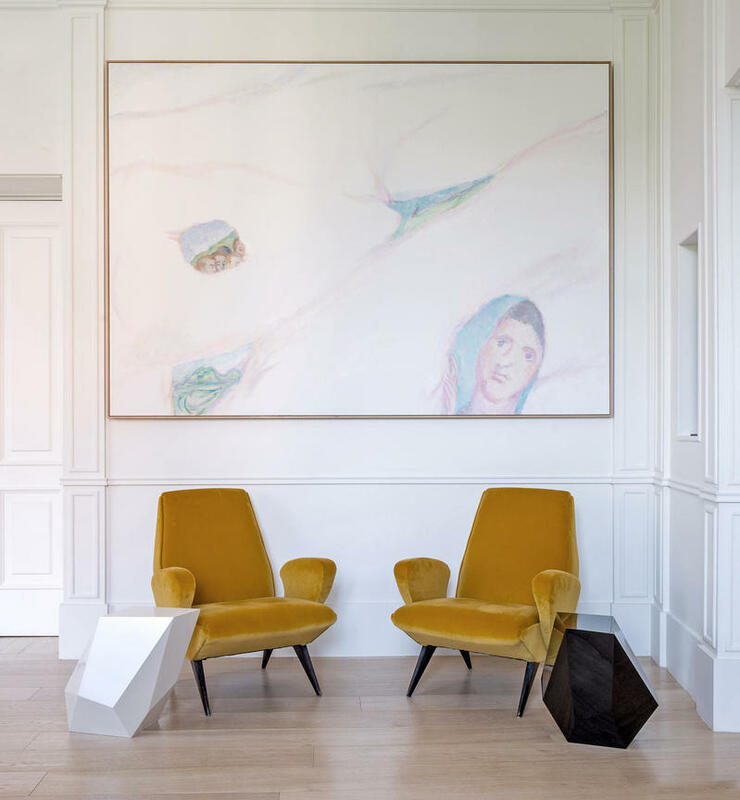 The Italian designer Achille Salvagni show us how you can convert your hallway into a modern corner, with just a few design pieces, beautiful mustard chair, and the diamond shape side table. 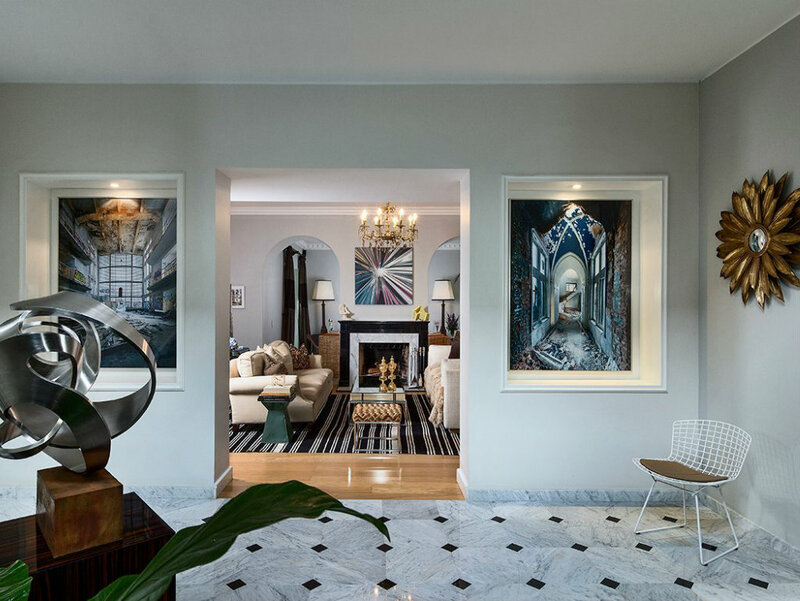 The interior designer James Aman created a marvelous entrance gallery where it displays highlights from the homeowners’ collection. Walking through your home the hallway must express the style of your apartment. 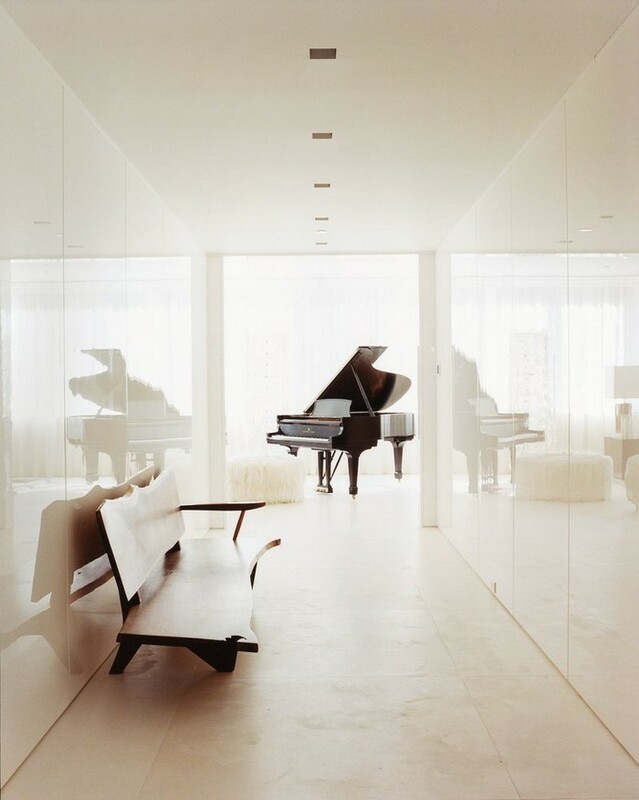 MR Architecture + Decor took a more minimal approach design for this all white space with a piano as the central piece. 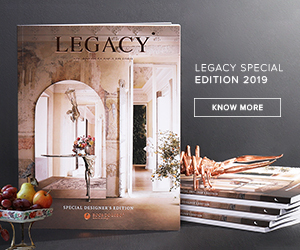 If you like a statement piece, let it shines an add just the essential furniture compliment. 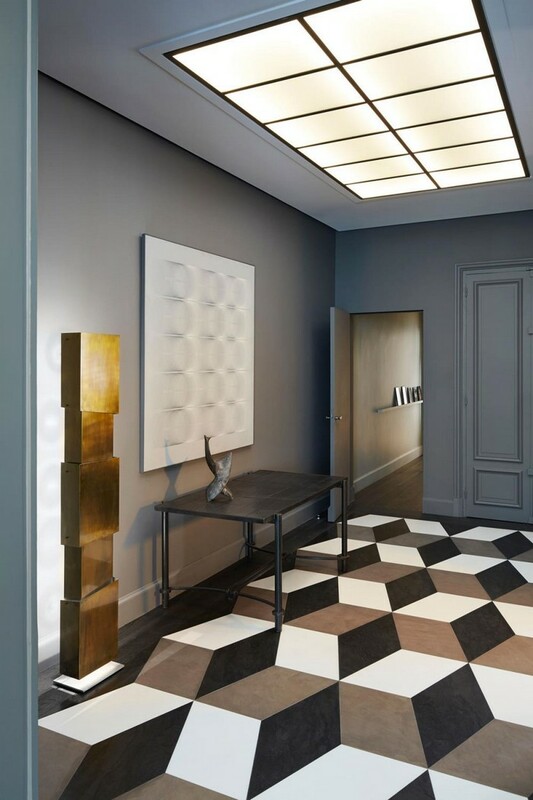 Sarah Lavoine’s contemporary design is flawless, as you step into the hall you feel the rest of the home design. Helen Green Design is a design studio synonymous with the creation of beautifully crafted interiors like this colorful and artsy entryway. 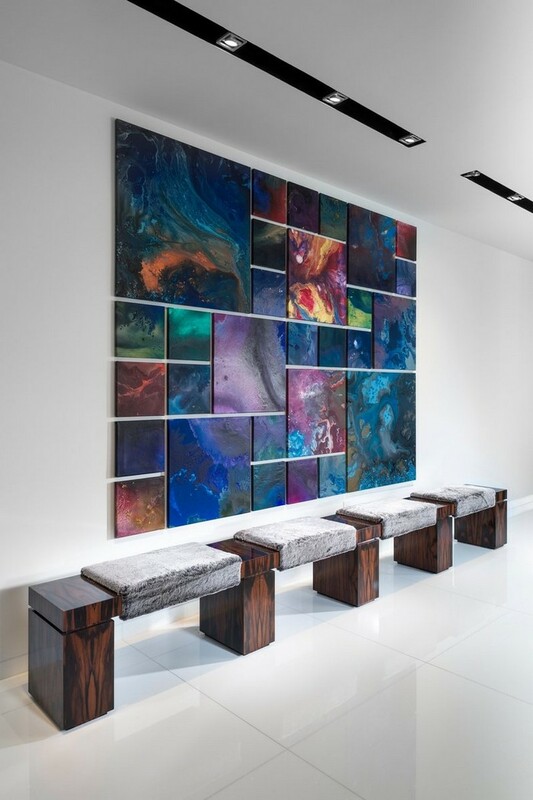 Kelly Behun design this nature inspired entryway, with a custom design console table from herself. 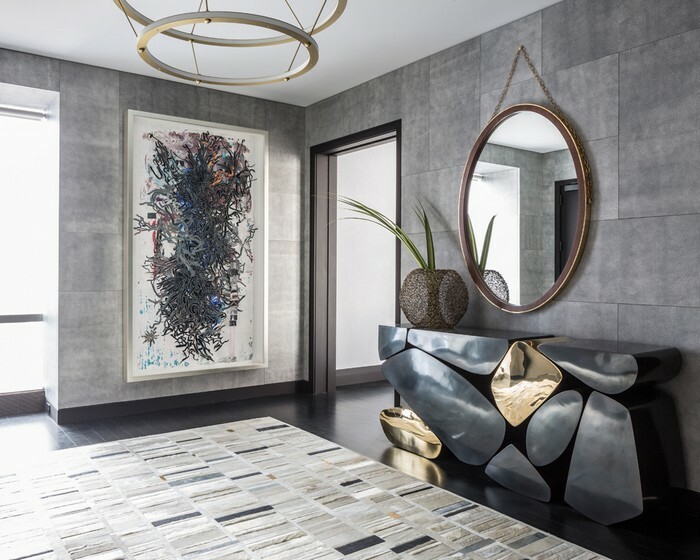 This luxury Cabinet and the unique sculptural piece are an incredibly perfect combination designed by Matt Blacke Inc.
For this luxury hallway, the right pieces of furniture and color hues enlighten the stunning modern artwork on the wall. Be bolf look for colorful and modern furniture like this yellow console and the funky chair . 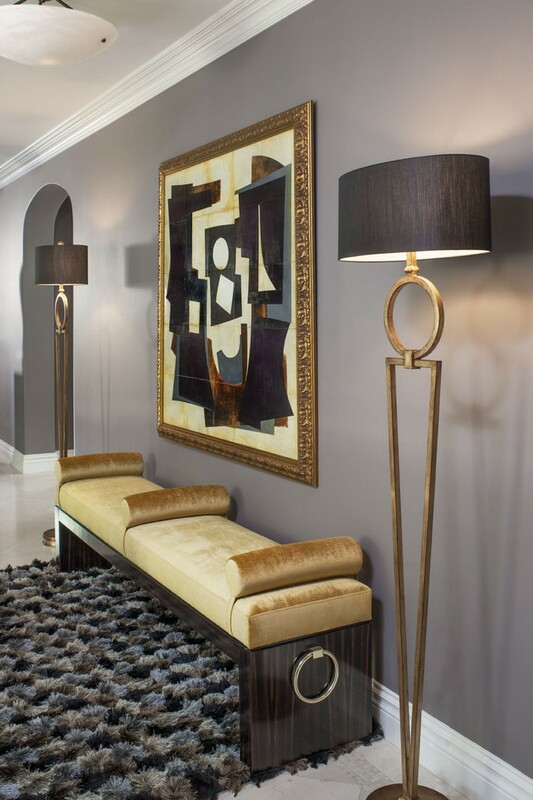 Decor even the small spaces, see how this elegant gold console looks amazing in this small corner. Elegant and cool design entryway that reflects the contemporary style of the rest of the house.